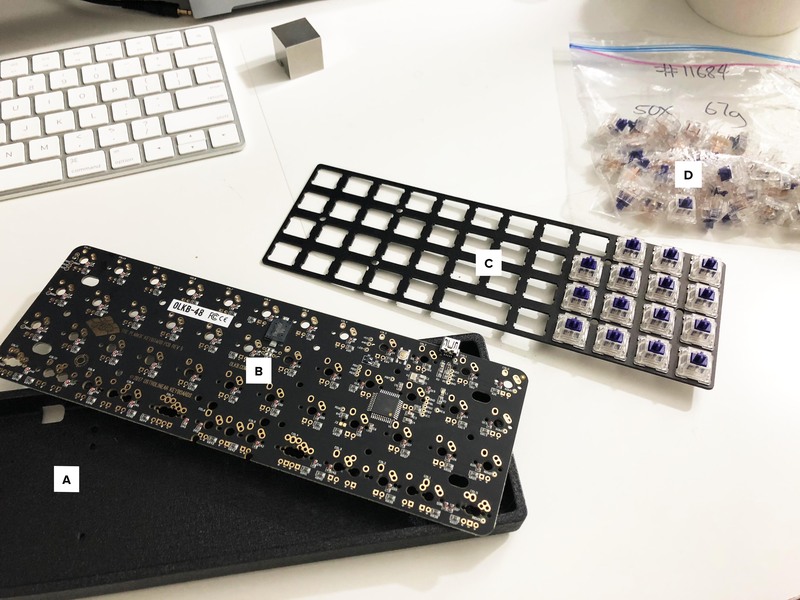 Overview: This page contains information on the TeleType Z-Series manufactured by Delvin (purchased from UK-Keycaps ), as well as the underlying 48 key ortholinear "Planck" keyboard designed by OLKB. 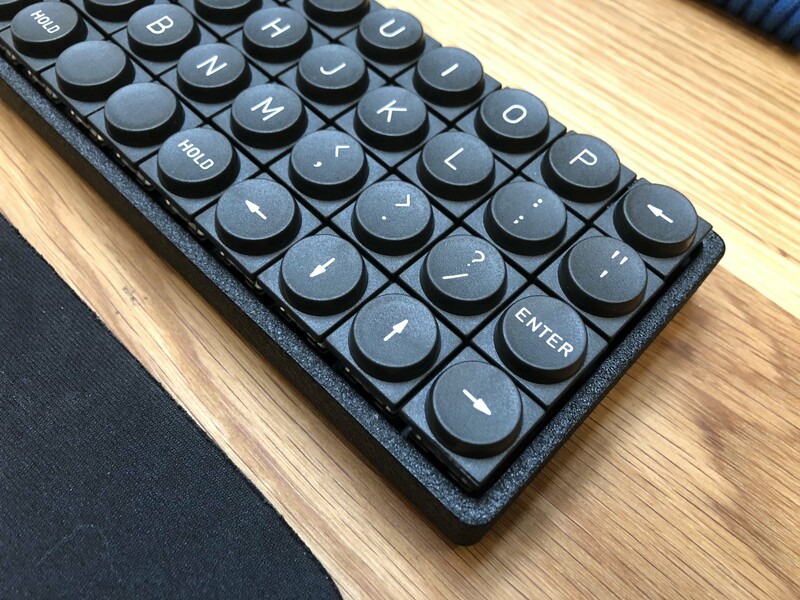 Pros: One of the few circular keycaps with square sides. Well made, very durable. Cons: Gating issues, minor cleanup necessary. 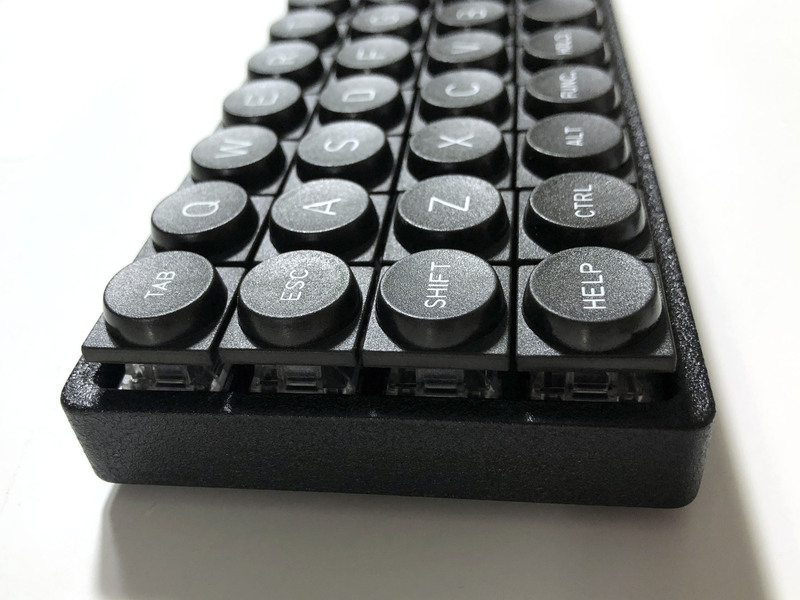 The TeleType Z-Series fits MX style key-switches and clones. 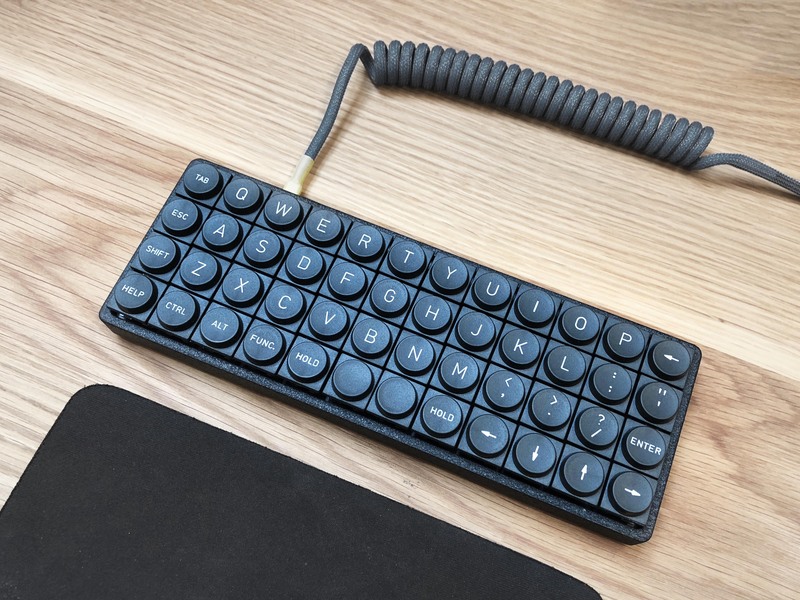 The Planck keyboard is a 48 keys ortholiear keyboard (the keys are in a perfect grid, instead of being staggered). Overall the fit and finish is good. There was some extra material around the injection gate that had to be cleaned up. The lettering is clean and crisp. 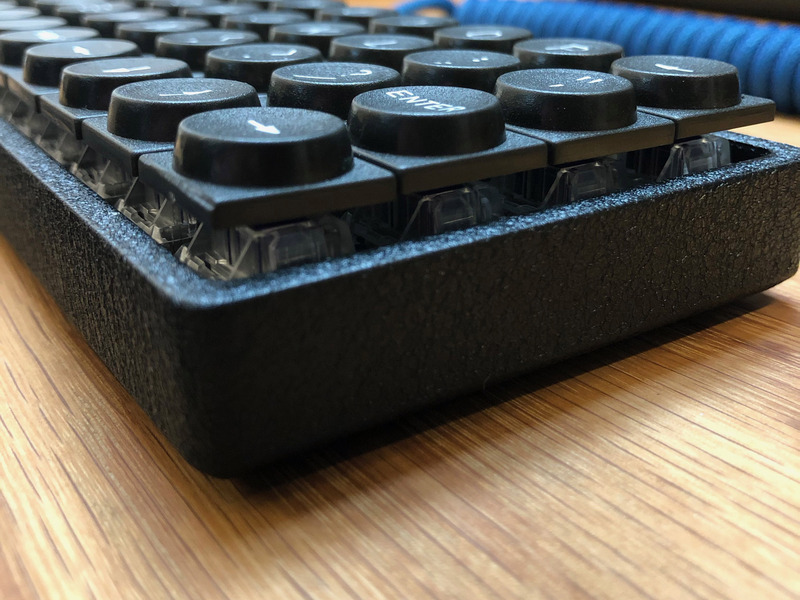 The caps feel solid, almost overbuilt. 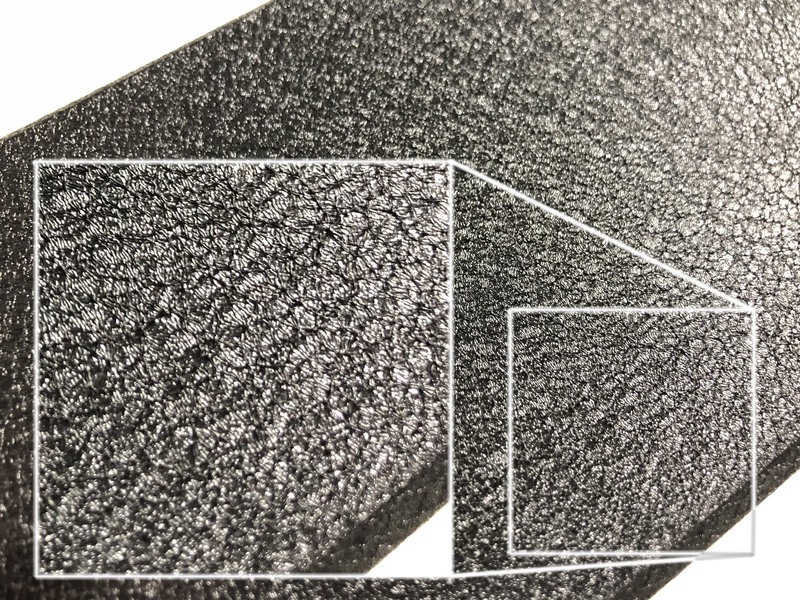 A detail of the "Wrinkle Black" finish on the Planck Hi-Pro aluminum milled bottom. 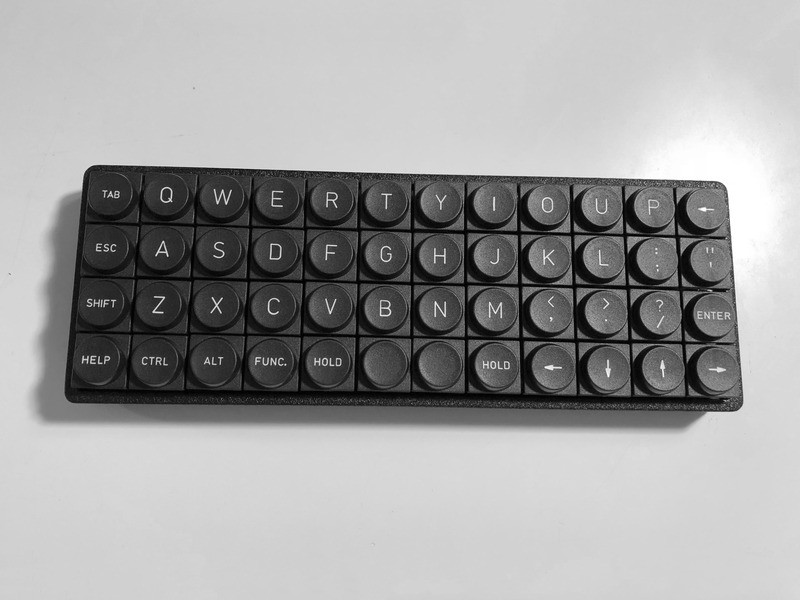 The unique finish is executed well and feels very durable. After a few weeks of use it appears to resists scratching and flaking well.